We are driven to achieve complete customer satisfaction. To accomplish this, we provide the highest level of service in the industry. There are many key factors that formulate the service we provide. One of these is communication. We provide prompt responses to all inquiries including quotes, order status, scheduling, and product design support. We are committed to maintaining open lines of communication at all times. Another factor to our service is timeliness. 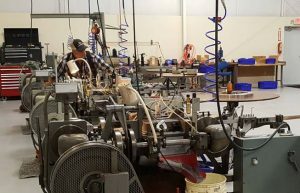 Our custom database application enables us to monitor orders and delivery schedules, integrating directly with production scheduling. This also helps provide greater flexibility, which is yet another important aspect to our customer service. We work closely with our customers to fully understand their needs and goals, allowing us to provide the services and quality to meet them. These facets of our customer service directly equate to customer confidence. We value your business and will work to build and maintain your confidence in our abilities. We have been honored with accolades from many of our customers, including Supplier of the Year, Preferred Supplier, and consistently scoring 100% for Supplier Performance. 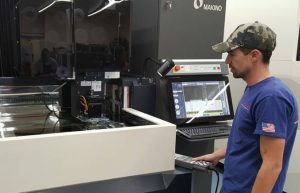 To cut all of our tool and die components we use two Makino wire EDM machines. This is a high-precision U53J model. 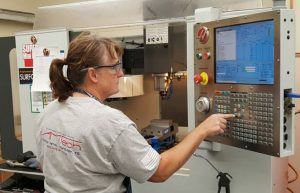 We use a HAAS CNC milling machine to automate many of our basic machining operations as well as advanced 3-axis CNC machining, profiling, surfacing, and more. With our Nilson Fourslide machines, we currently manufacture the spring clips that go into Sonicare toothbrushes. 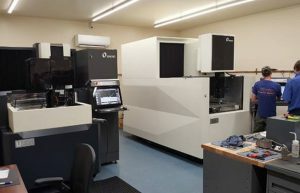 With our U6 Makino wire EDM machine, we are able to offer much larger cutting and work piece capacities, with high precision cutting.